Street parking is available as well as valet service. 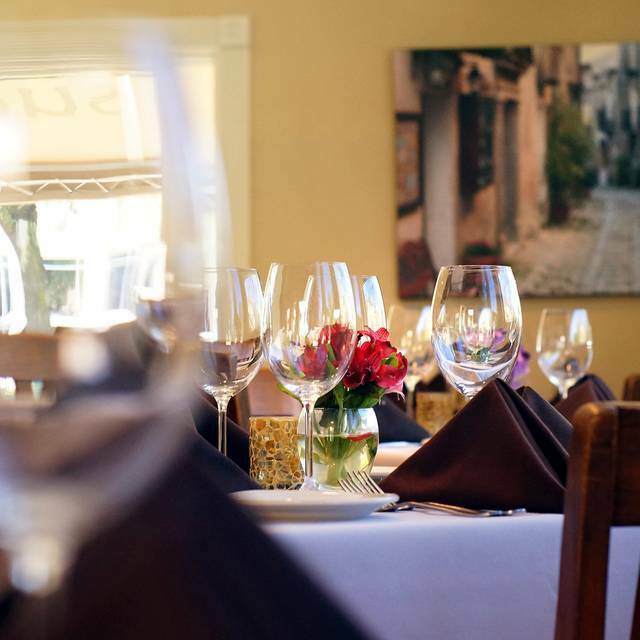 Sud Italia has two private dining rooms, the Ostuni Room, which can accommodate a maximum party of 10, and the Palermo room, which can accommodate up to 20. Call now to book for your upcoming event! “Here at Roma, we’ve created a menu centered around the Roman classics like the pasta trinity — carbonara, amatricana, and cacio e pepe — and deep-dish pizza, which most people think comes from Sicily but actually comes from the Eternal City.” But the departure from southern Italian cooking has also allowed Shanon to include other Italian greats like osso buco and braised lamb shank. His wine list has also evolved: It now features the three Italian big reds: Barolo, Barbaresco, and Brunello, as well as favorites from Tuscany like Chianti and Super Tuscan blends of Cabernet Sauvignon and Merlot. Food was delicious! They could have used 1 or 2 more servers. 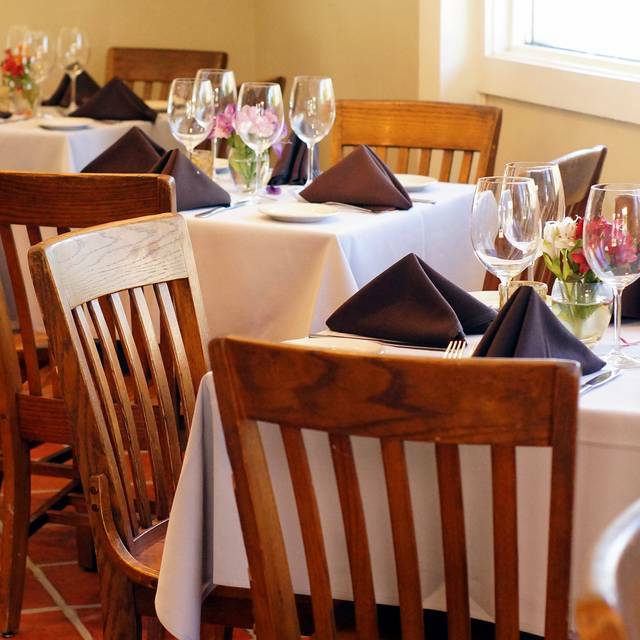 Overall, it’s a great place, good ambiance, and the owner was very friendly. Homemade pastas (gluten free pasta option), excellent service, wine selection great and reasonably priced. Great for parties or date night. Loved it! We’ll be back for sure! Thank you S. Scott for the wonderful meals and service. The new chef is amazing. Perfect service and sublime food. The grilled octopus is to die for! Shannon the owner is amazing, Maximo our waiter was top notch. Food out of this world. Shanon was the perfect host as usual. I miss the Sud Italia menu. The high ceilings and wood floors are a noise trap. We had a table next to us with several young ladies and we could hardly hear each other. I wish Shanon the best of luck and will certainly go back when things settle down from the recent opening. Redo of decor and menu. It seemed like adequate staff but not as they quickly walked to and fro without seeing you. Food was good- really needed staff to embellish menu; that helps with decisions. The food was better than our first amazing experience! I didn’t know it were possible! Service is always great! I love the ambience. We won’t wait so long to return next time. It’s too good! The food was amazing and the atmosphere was very romantic. Our waiter forgot my date’s water a few times and we had to remind him I ordered wine, but he didn’t charge us for the wine. Very good ambiance and food was delicious! Found this place on Yelp after leaving the rodeo. Not sure how we were able to get reservations for 4 people on a Saturday night, but we did and WOW! This place was fantastic. We sat out on the porch and the service was great. The food was on another level. I had the octopus and it was as good as any I have had in the Bahamas or Miami Beach. My wife had the spinach ravioli with chorizo and it was all I could do to not eat all of hers too. 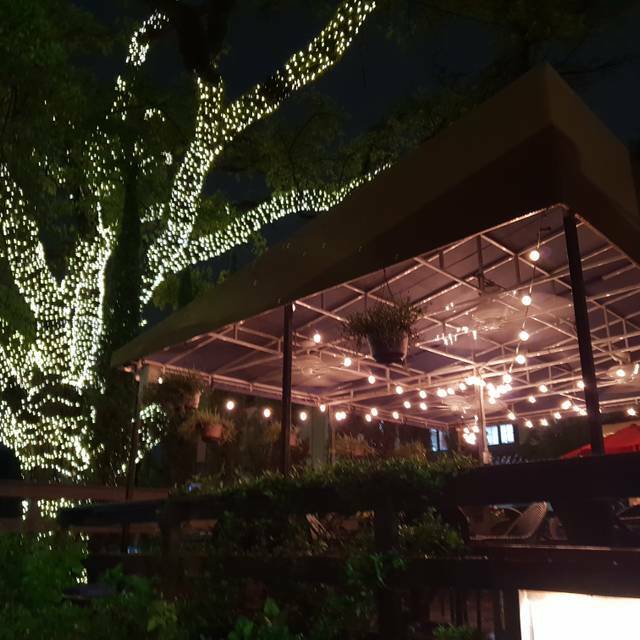 We don't get to Houston often, but this is now on our list of go to places in H-Town! this was our first visit to Roma and we will definitely be back. the food was very fresh and delicious. the atmosphere was perfect for a date night. must try the fried mozzarella.... best I've ever had! I enjoyed my dinner here on the outside patio. We were skeptical about going because a friend told us he and his wife did not like it at all, but I saw the 4.5 star reviews and decided to try it anyway. We are glad we did! There were only about 5 other tables there so it was pretty quite. Upon entering the small house-like restaurant we waited for about 5 minutes before anyone came over to seat us and they weren't slammed (that's the only reason I'm giving 3 stars for service - service at the table was fine), but I think they were only 2 servers working. 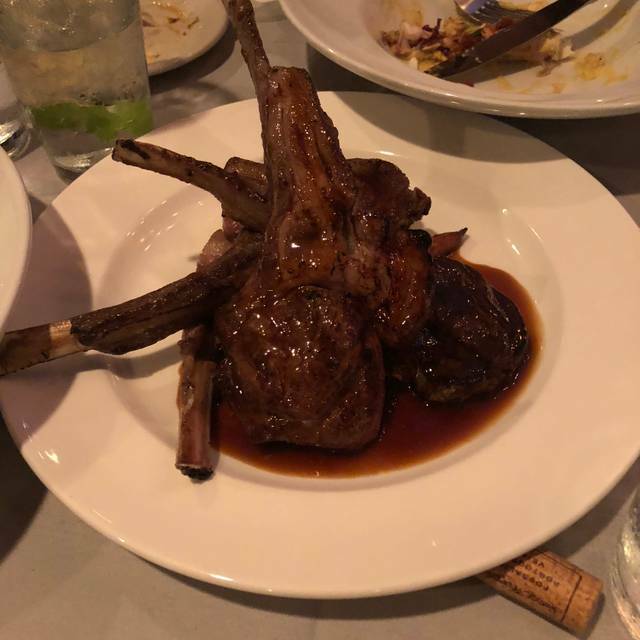 Our food was good, hubby had the braised lamb shank and I had bacon wrapped monkfish and risotto. Both dishes were very good, although I thought the fish dish and risotto was a bit too salty, but that is being very picky. It wasn't so salted that I couldn't eat it, just a bit more than my taste buds liked and I don't mind seasoning or salting my food at all. Our waitress was very kind and we would definitely return again! Really enjoyed everything about this place! The restaurant is an old house. Nice patio seating if that’s your thing. Service was spot on. All the food was delicious. Absolutely going back! Really enjoyed both the food and the atmosphere. I had the ravioli and it was outstanding. We had great service. Everything tasted very fresh. Look forward to dining there again. Great lunch. Enjoyed the food and service. Good service but menu was very limited and largely unappealing. I had salmon on cabbage which was average at best. The bread basket contained only a few sticks of cold stale bread, a big disappointment. Caesar salad was also average. 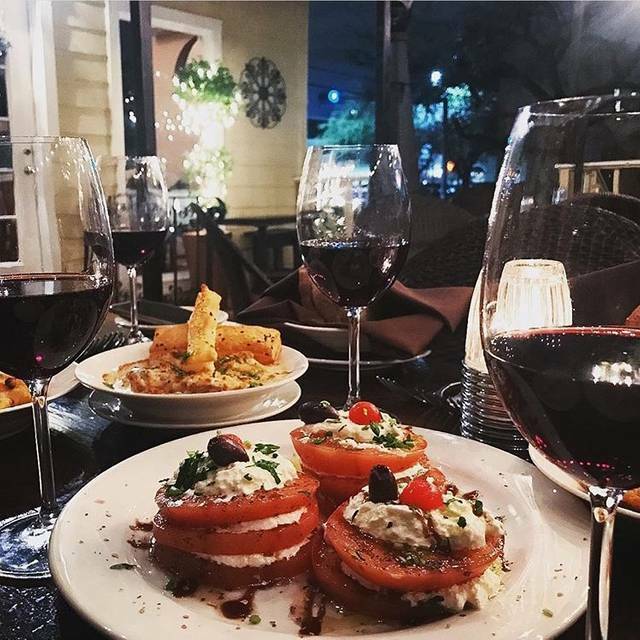 I've visited many Italian restaurants in houston and this is one of my favorites! 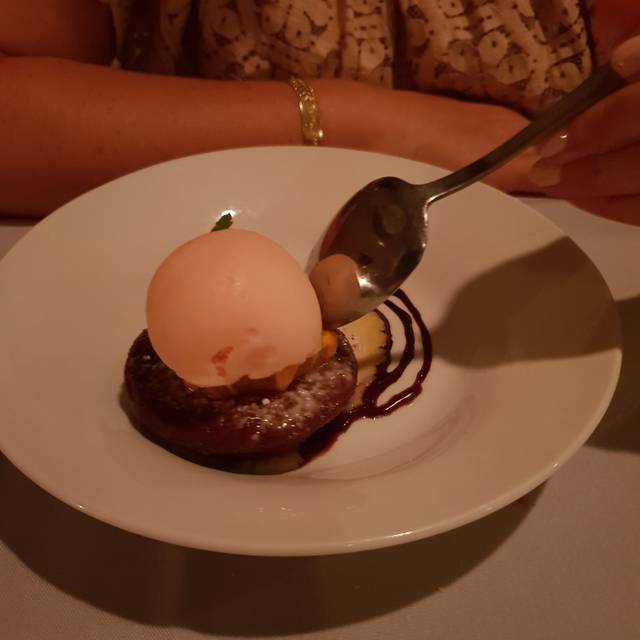 I recently visited for an anniversary date and loved it. It is a nice quaint place with a warm, welcoming feel once you enter. The service and meals were superb and tasted very fresh/authentic. I will definitely be coming back!! Not fresh ingredients, prepared in a mediocre way. Will not return. 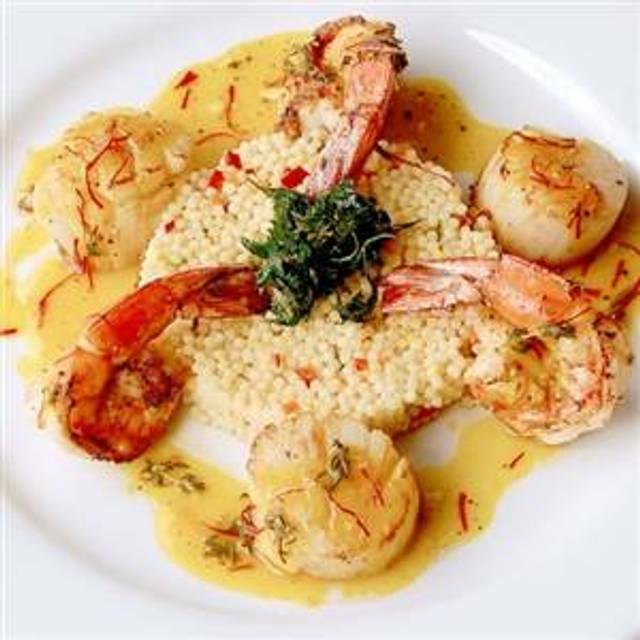 We have always loved the food at Sud and Roma carries its tradition. The new decor (with wood floors and no tablecloths makes for a very noisy environment, especially when wine consumption gets the better of some of the guests. The food was great-no complaints there. The ambiance, lighting, service and decor was off. The server we had was not personable at all. The food was moderately priced, so you just expect a little more when you pay $60 for two entrees. I would say the food is average. 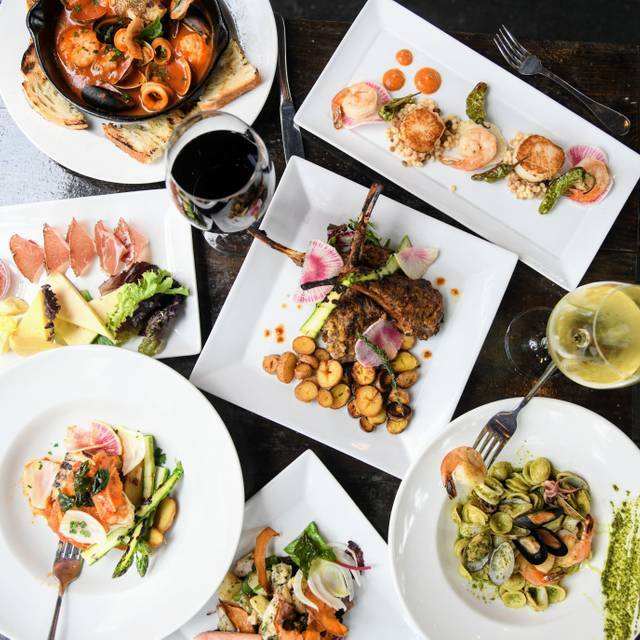 The proportions for the cost and the overall food quality doesn't compare to Maggiano's , Carraba's, and countless non-chain smaller Italian restaurants throughout the greater Houston area. I was looking forward to trying Roma, but was disappointed. The hostess was uninviting and ignored us for the first 30seconds we were standing at the hostess stand while she worked on the computer, the service was very slow, the fried shrimp on the calamari/shrimp appetizer were rubbery and over cooked, and the rest of meal was mediocre. We won’t be going back. Had a Valentine’s Day dinner with my spouse at Roma, which had formerly been known as Sud Italia. We started off with the meatball appetizer and house salad, both of which were very good although not exceptional. My spouse ordered the veal scallopine and, although she enjoyed the flavor and really liked the vegetable accompaniments, found the meat a little too tough and chewy. I ordered the salmon and found it to be slightly overcooked and a little dry but enjoyed the cabbage base and flavors. We also ordered a bottle of amarone to go with the meal (at the suggestion of our waiter) and found it to be an excellent choice. 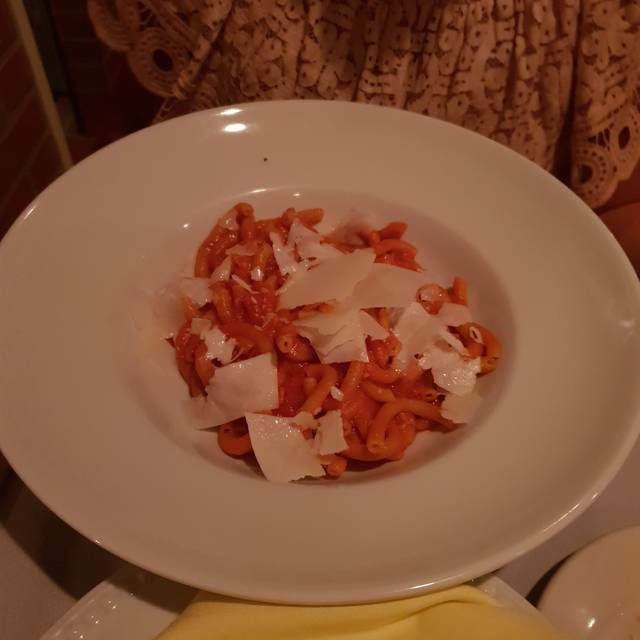 We really enjoyed the restaurant when it was Sud Italia and had high expectations for our dinner so were a little disappointed that the quality of our most recent meal was not quite on par with our meals when it was Sud Italia. Host didn’t ask anything just planned to sit us in a room with no windows. Flavors in red sauce were off. Ink squid fettuccine is the best!! Food was excellent . Well prepared , tasty . We enjoyed our dinner very . Wine by the glass was very good also . Lamb shank is the best we tasted . We had a fantastic Valentine’s dinner at Roma. The service was impeccable and the food was incredible. This will definitely be our go to Italian restaurant! Very pleasantly surprised with the great food and wonderful service. Knew it as Sud Italia and was concerned that Roma would not be as good but it is actually better! We'd gone to celebrate a special birthday -- which I had written in the Open Table Spacial Requests. The waiter was so rapid fire and racing that we got rare salmon and felt ignored. My dinner guest had nearly finished her meal by the time my original rare salmon was returned medium as requested. No birthday ever mentioned but by that time we just wanted to leave. We were seated in a small back room by the bathroom, a room that eventually filled with a large group at one table. I think our waiter decided that two women alone were not worth very much time or attention. And I'm sure he was very busy. We couldn't see from our back room seat. Nothing about the experience was nice. We had always gone by this dItalian food restaurant and always meant to see what it was about. We decided to try it as a family after it had been rebranded. We had made reservations for a Friday evening. Here is where it went right. The ambiance and waiter was great. Here is where it went wrong. It took forever to get our bread after our wine was served. Our appetizers came out in an ok amount of time however we were left sitting there close to one hour before our entrees appeared. Two of our plates came out and then several minutes later the other 2 plates who had ordered pasta came out. My wife ordered a cocoa pepper pasta. They forgot to put the pepper on it. My son order pasta with seafood. The sauce tasted old and he was afraid to eat the seafood. The waiter was very apologetic. And to properly end the +200 dollar evening, the valet brought us the wrong car! Good food but not worth the price. I could get better or as-good Italian food nearby for a lot less. I loved it but my husband was very disappointed in the service. It was extremely slow but the food and wine made up for it. Was having dinner with friends so it didn’t bother me as much. I would go back but my husband is definitely a no. We tried several items on their new menu and were impressed by all of them. The meatballs were tender and flavorful. A highlight for me was their cocoa infused fettuccine with pecorino-Romano cheese. The combination of flavors is fantastic. The appetizer of calamari and shrimp was equally delicious. Table next to us was loud, and the room echos like crazy. The food was bland and boring but dessert was vey nice. Service great. The entire front room of the restaurant was so loud, that we could not hear each other talk! That colored how we viewed the whole experience. The dinner was good, and the service was fine. We left as soon as we finished eating-and one person left earlier and just waited outside on the porch.